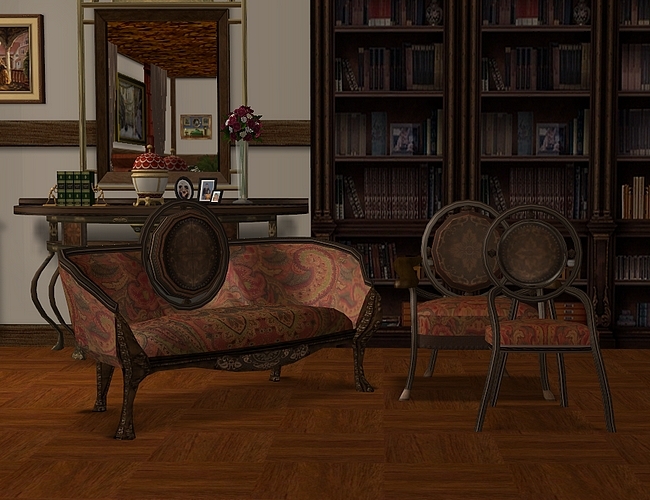 I've posted a recolour of Macarossi's Antique Set at my Tumblr if anyone is interested! I like!!! Will now dash over to grab it. Thanks! Thanks Twerp! I’d never noticed the set before. I didn't even realize that Macarossi had made furniture. I have all of her/his plant sets. I think I overlooked the post of this set, because the colours in the main picture didn't really catch my eye. 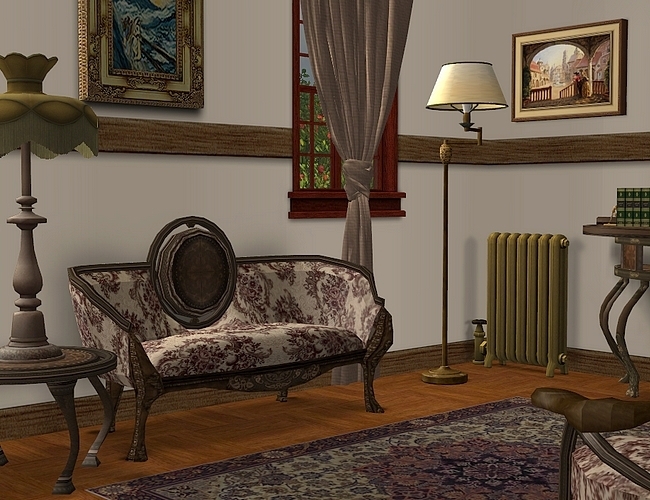 But then I saw a TS2-TS3 conversion and I went looking for the set. 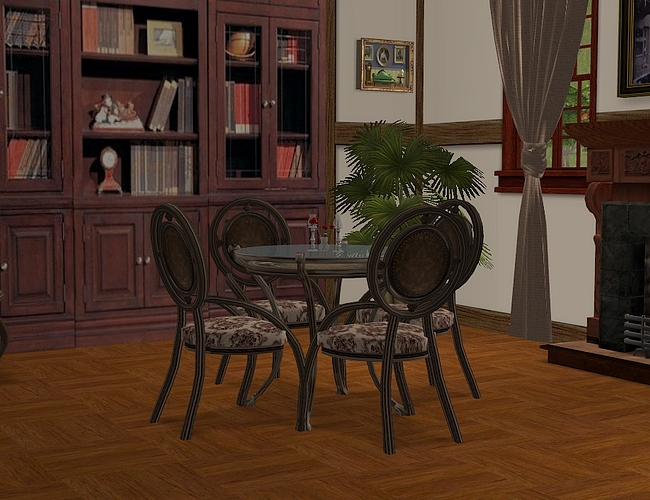 Then I realized I actually had the dining table and mirror in my game already, and I used them a lot! I probably got them in one of the gajillion lots I’ve downloaded from these Russian sites, that are stuffed with all this great cc. I rarely use the lots because they are often very grand and ostentatious and don't fit into my hood, but the cc is amazing. Mostly from obscure, non-English and often defunct sites. I can't help myself! My download addiction is real man! What a nice surprise! I have grabbed the set and I already have an story playing out in my head on where and how to use it. Gosh Nonni, I'm crazy flattered! Please feel free to post pix (or a link) here. Would love to see what where they end up!